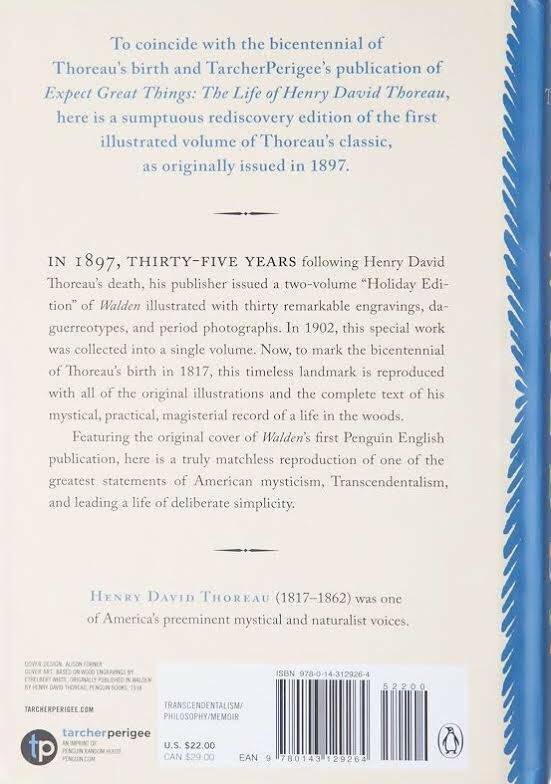 To coincide with the bicentennial of Thoreau's birth and TarcherPerigee's publication of Expect Great Things: The Life of Henry David Thoreau, here is a sumptuous rediscovery edition of the first illustrated volume of Thoreau's classic, as originally issued in 1897. In 1897, thirty-five years after Thoreau's death, Houghton Mifflin issued a two-volume "Holiday Edition" of Waldenillustrated with thirty remarkable engravings, daguerreotypes, and period photographs. In 1902 the publisher collected the work into a single volume. 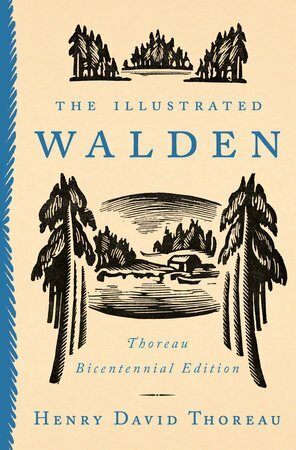 Now, to mark the bicentennial of Thoreau's birth in 1817, this timeless landmark is reproduced with all of the original illustrations and the complete text of his mystical, practical, magisterial record of a life in the woods.